We knew it was coming, and now it’s finally here: the 2018 Mitsubishi Eclipse Cross, which has been teased for what seems like forever, has just made its international debut at the 2017 Geneva Motor Show and looks to strengthen Mitsubishi’s SUV credentials. 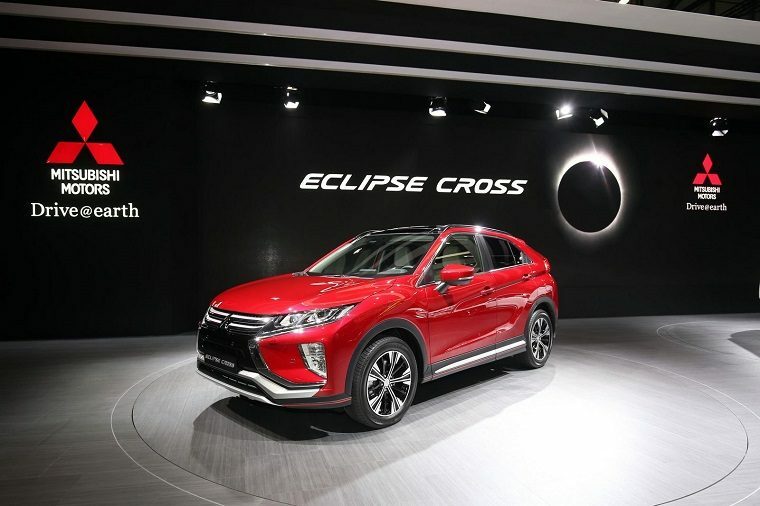 The Eclipse Cross—notoriously named such after the company’s discontinued sports coupe—will be positioned between the compact Outlander Sport and midsize Outlander, boosting the number of SUVs in the automaker’s lineup to three. Its styling is an evolution of the design first previewed in 2013 on the XR-PHEV Concept. Especially notable is Mitsubishi’s signature “Dynamic Shield” front grille and fascia as well as the sleek, high-mounted tail lamps. 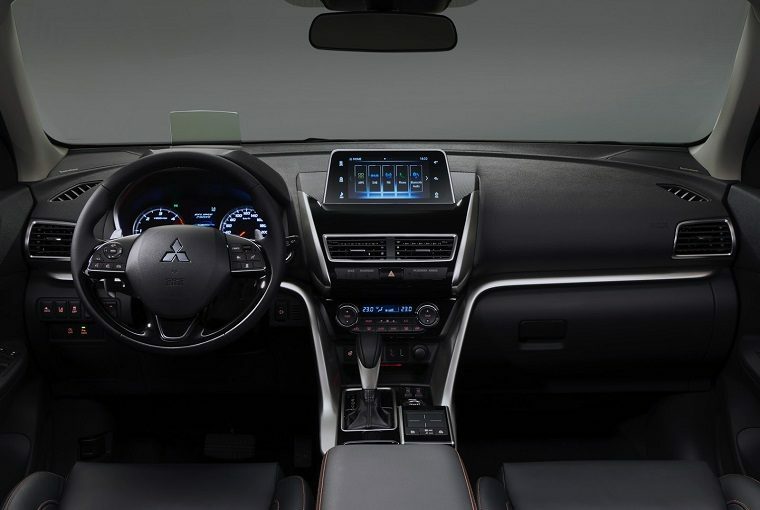 Inside, the Eclipse Cross sports a tablet-like screen in the dash joined by a head-up display and touchpad controller. The rear seats can split 60:40 and the dashboard features tasteful silver and black elements. The new SUV is perhaps most notable for what it has under the hood: a 160-horsepower 1.5-liter direct-injected turbocharged gasoline engine paired to a continuously variable automatic transmission (CVT) is standard, while a 2.2-liter common rail direct-injected turbodiesel paired to an eight-speed automatic is optional. We’re not sure yet how much power the turbodiesel will make, as it will be launched later in the model’s lifecycle along with a separate PHEV powertrain. To help boost its agility is electronically-controlled four-wheel drive (4WD) and Mitsubishi’s Active Yaw Control, a clever system once pioneered by the also-discontinued Lancer Evolution that measures everything from drive torque and wheel speed to steering angle and yaw rate to manage the braking force and torque feed at the rear axle. The 2018 Mitsubishi Eclipse Cross will technically compete directly with the Nissan Qashqai—soon to arrive in the United States as the Nissan Rogue Sport—but given that Nissan now owns a majority stake in its fellow Japanese automaker, it’s likely to be a win-win situation for the two companies.